A Magnitude 7.0 earthquake shook Anchorage, Alaska on Friday November 30th. Thankfully, no lives were lost in the quake. Some roadways, however, did not survive the earthquake. 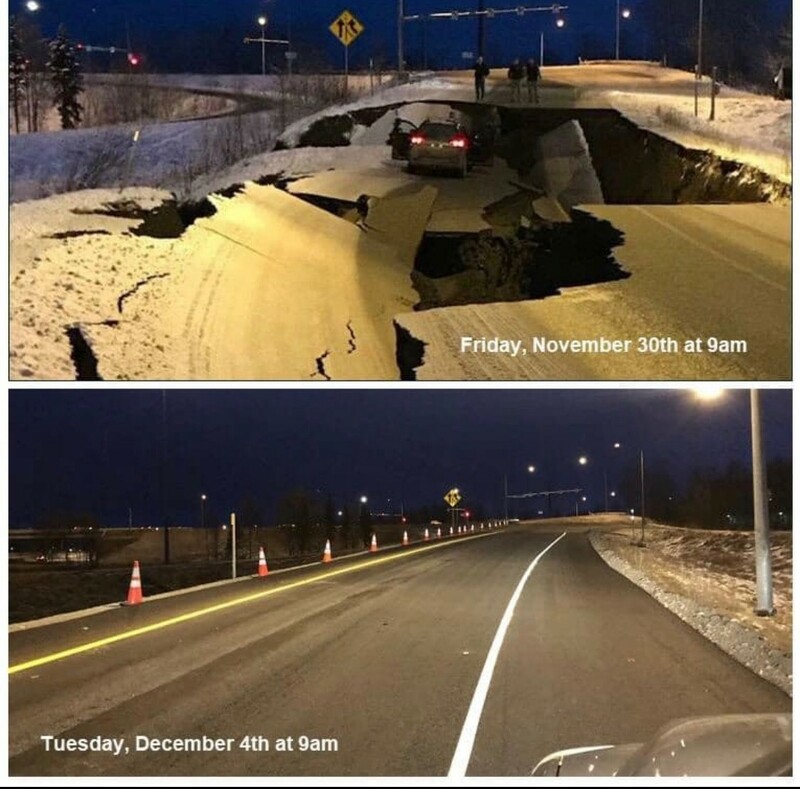 Fortunately, a group of Anchorage's most trusted contractors, including road striping contractor and long-time Aexcel traffic paint customer Pacific Asphalt, had the road up and running again in just 72 hours! The crews moved over 15,000 yards of soil, repaved the road, and striped it with Aexcel LowVOK traffic paint. Aexcel is proud to partner with companies like Pacific Asphalt who step up when their communities are in need! 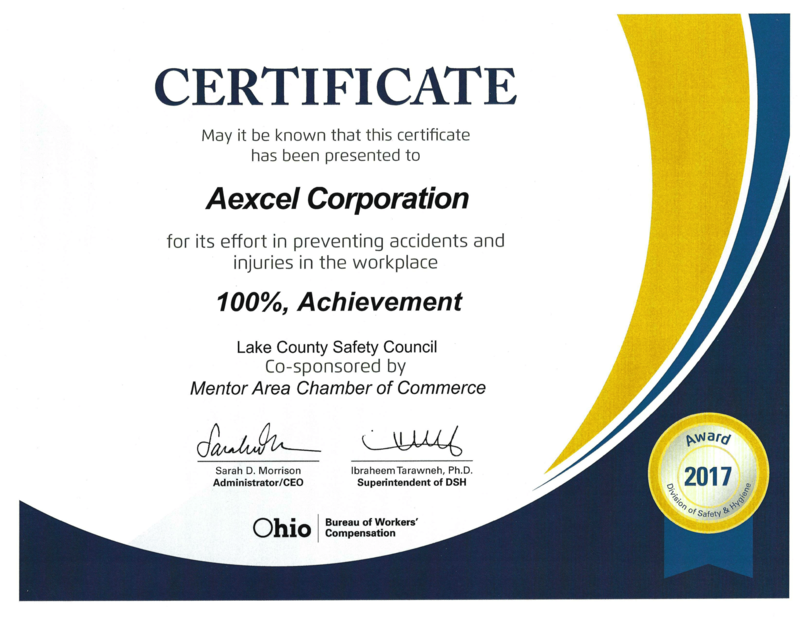 This Spring, Aexcel an award from the Lake County Safety Council recognizing our commitment to safety in the workplace. The Bureau of Worker's Compensation's 100 Percent Achievement Award recognizes companies who go an entire year without a lost time injury. 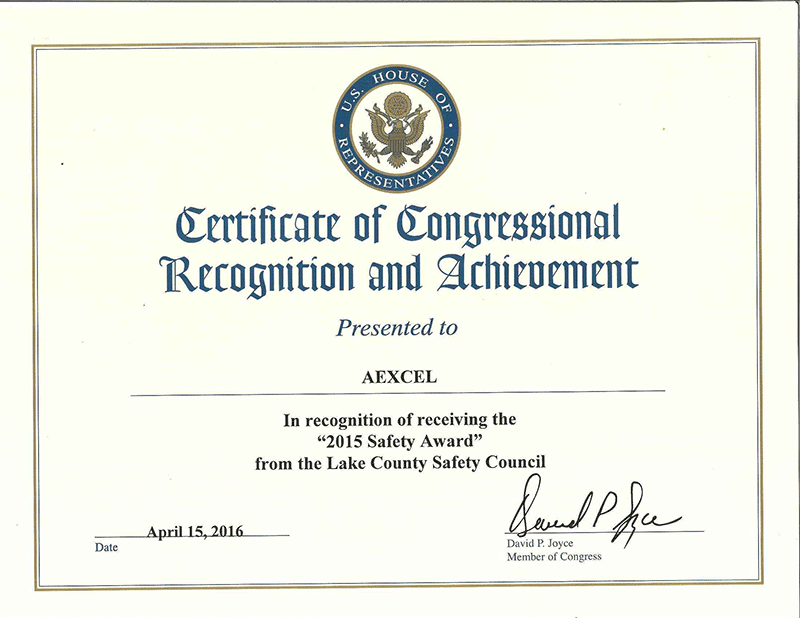 On April 15th, Aexcel received the "2015 Safety Award" from the Lake County Safety Council. 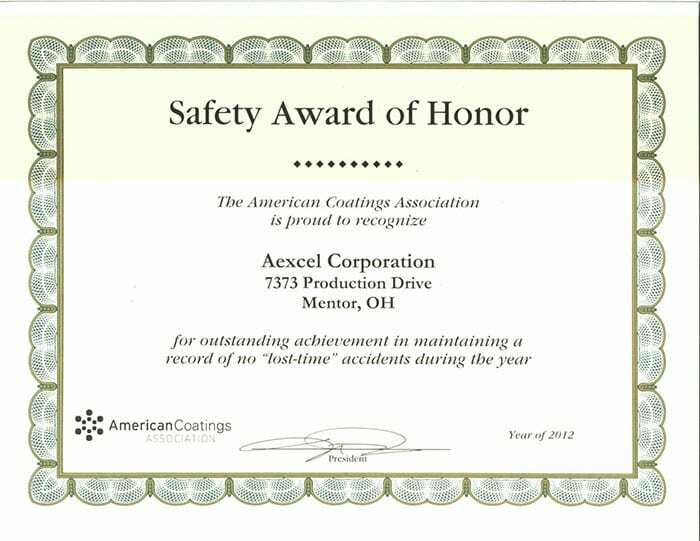 The award was to recognize Aexcel's efforts in preventing accidents and injuries in our workplace. The State of Alaska has evaluated Roadzilla®, Aexcel's new traffic paint. This product has been added to the Alaskan QPL. 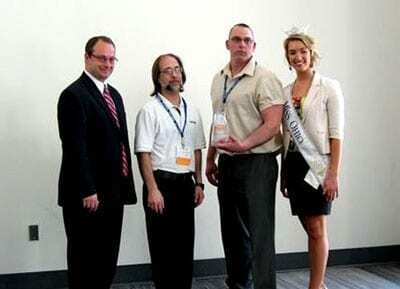 On March 28, 2012, Aexcel accepted a Safety Innovations Award from the Ohio Bureau of Workers' Compensation. 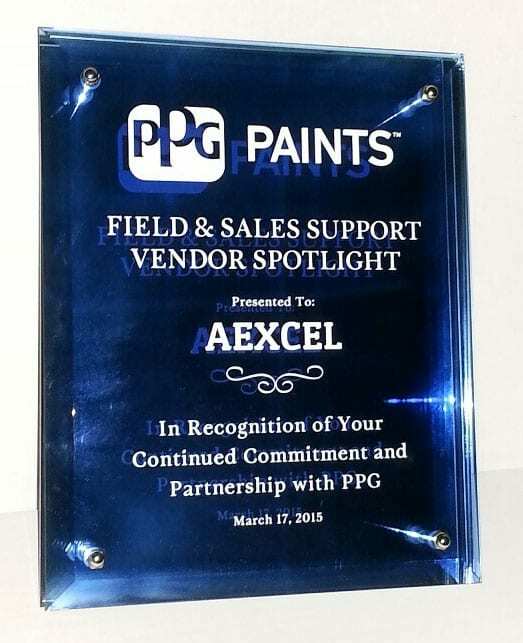 On March 17, 2015, Ryan Vodicka, National Sales Manager, accepted on behalf of Aexcel, the PPG Field & Sales Support Vendor Spotlight Award. 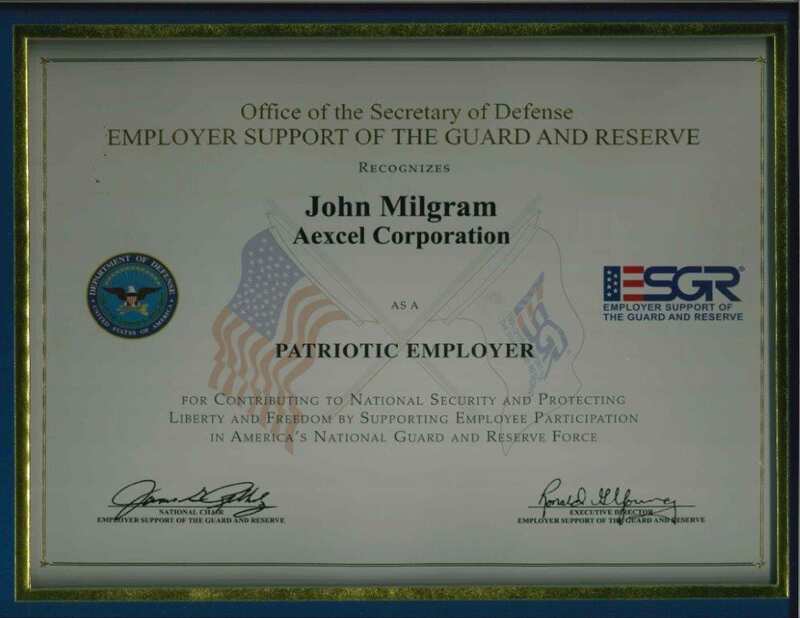 This Award was in recognition of our continued commitment with PPG.